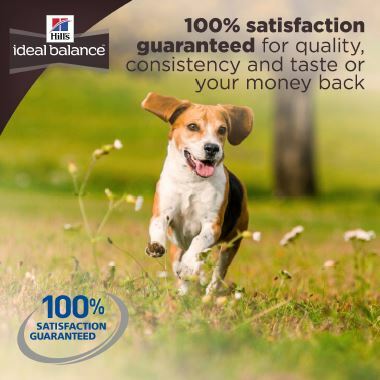 Hill’s Ideal Balance Canine Mature Adult is specially formulated to meet the needs of mature adult dogs. 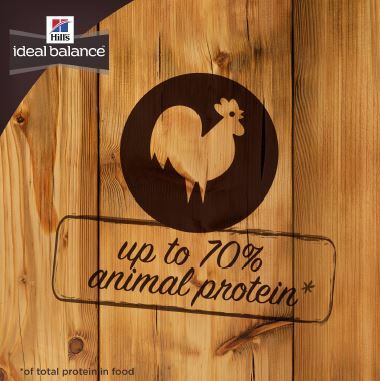 More than just natural ingredients, perfectly balanced nutrition, made with fresh chicken No.1, for your dog’s overall health, immunity, skin & coat and digestion. 100% Balanced. 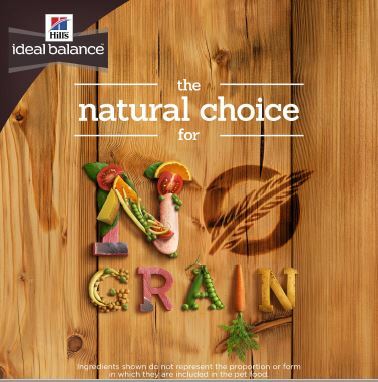 100% Taste. Guaranteed. 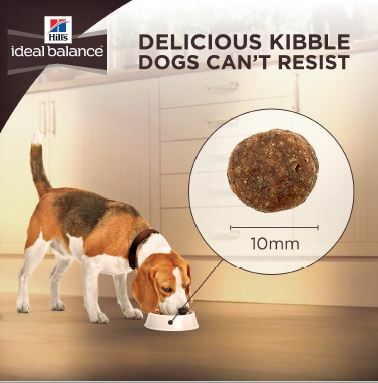 Designed for senior dogs of small and medium breeds, from 7 years old. 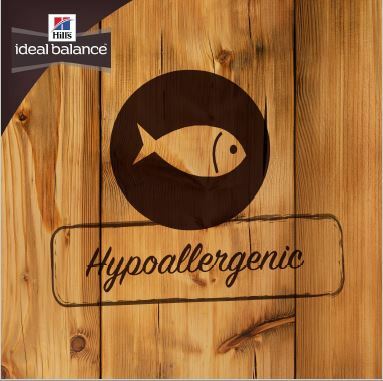 Chicken, Potatoes, Yellow Peas, Pea Protein, Potato Starch, Chicken Fat, Chicken Meal, Dried Beet Pulp, Chicken Liver Flavor, Lactic Acid, Flaxseed, Iodized Salt, Choline Chloride, Potassium Chloride, Green Peas, Apples, Cranberries, vitamins (Vitamin E Supplement, L-Ascorbyl-2-Polyphosphate (source of Vitamin C), Niacin Supplement, Thiamine Mononitrate, Vitamin A Supplement, Calcium Pantothenate, Vitamin B12 Supplement, Pyridoxine Hydrochloride, Riboflavin Supplement, Biotin, Folic Acid, Vitamin D3 Supplement), Carrots, Taurine, minerals (Ferrous Sulfate, Zinc Oxide, Copper Sulfate, Manganous Oxide, Calcium Iodate, Sodium Selenite), Broccoli, Mixed Tocopherols for freshness, Natural Flavors, Beta-Carotene.). 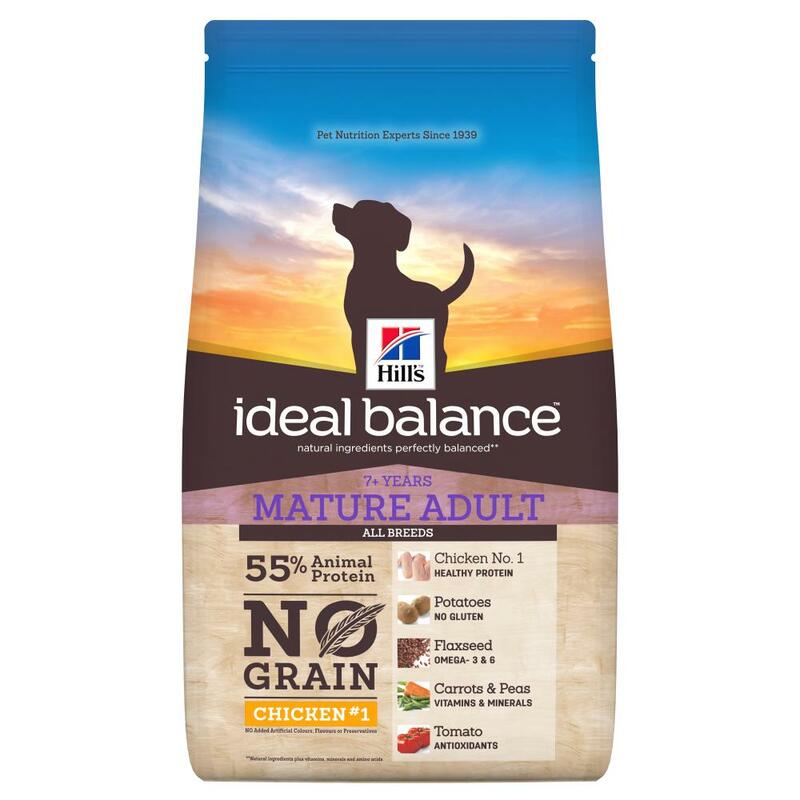 There are currently no questions for Hill's Ideal Balance Mature No Grain Chicken & Potato Dog Food - be the first to ask one!